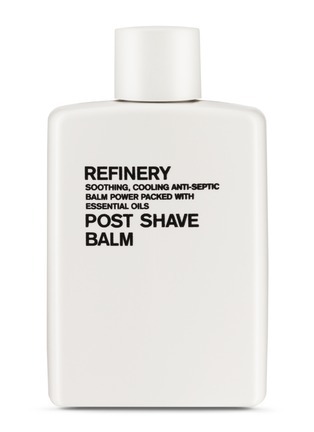 Aromatherapy Associates' Refinery Post Shave Balm is the perfect treatment for after your after grooming regime. Formulated with revitalising aloe vera and diabolol, an extract of camomile, this easily absorbed moisturiser will soothe skin with a matte finish. Mixed with brewers yeast for long-term skin protection, this one will also instantly reduce shine to have you ready for the new day ahead.